​This webpage is your personal page for signing up for massages, walks and prenatal visits. You'll find recommendations for local resources as well as any links or information we may share in our meetings or think you might find useful. You can also click the "contact me" link to email me directly at any time. 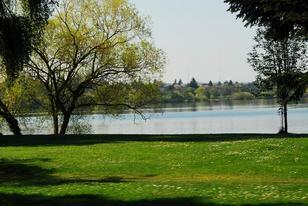 Come and walk around Greenlake with Emma and other expecting and new families. Click on the link below for the date of the next walk. Check back often as I update it frequently. We meet at the entrance to the Boathouse Theater and walk at the pace of the slowest walker. Hope to see you there! Come and talk all about life with your newborn. What to expect in the first few hours, days and weeks of life in terms of feeding, sleeping and bonding with your baby. This visit is held in the Seattle Pregnancy Massage studio in Ballard. Click the button below to schedule your visit. It's best taken between 32 and 40 weeks. Massage in pregnancy has huge benefits for both you and your baby. It helps to alleviate tight hips, shoulders and aching backs. It helps to improve circulation and lowers stress hormones leading to increased blood flow and endorphins for both you and the baby. As part of your package, you receive 20% off massages and reflexology sessions until your baby is a year old from Emma at Seattle Pregnancy Massage. Click the button below to book your massage and use the code B2BNW20. After watching the video, you are welcome to come into the office on a Sunday morning to practice some of the exercises in the video with Emma. Click the button below to schedule an appointment. Your prenatal visit is the time that we spend talking about your birth in depth. We will talk about what your wishes and desires are, what we can do to help support you both, what labor looks like and how to tell it's happening. We generally spend about two hours with you. Click the button below to schedule your prenatal visit. Please choose a date that is close to 35 weeks. 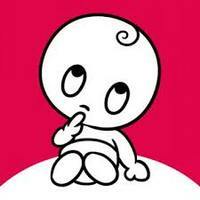 To prepare for your prenatal visit, please click here and fill out the form. 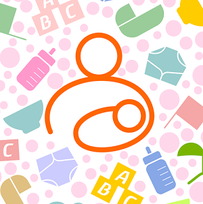 Click here to find recommendations for birth classes, lactation consultants and more. Ina May's Guide to Childbirth by Ina May Gaskin. What I love about this book is that the first half is all positive birth stories which we so rarely are told by our friends and family. The Natural Baby Sleep Solution by Dr. Polly Moore. This book teaches you about infant sleep science and helps you to create a routine from the early weeks on that honors your baby's natural rhythms and sets you all up for good sleep. The Wonder Weeks by Hetty Van de Rijt. This book walks you through your baby's development in the first few months of their life. They also have a wonderful app of the same name. Your Amazing Newborn by Marshall and Phyllis Klaus. A book for people who would like to learn more about the newborn's abilities in the first few days and weeks of life. Not a childcare book but a wonderful read in late pregnancy.